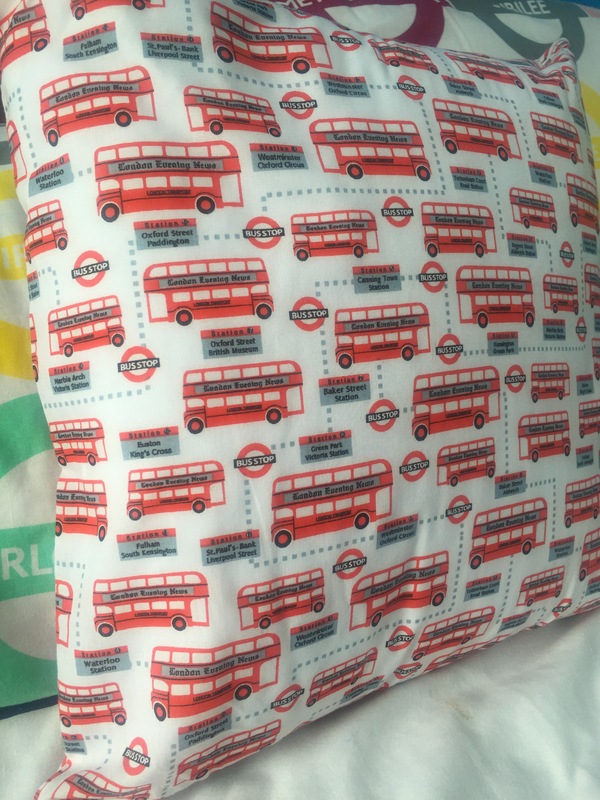 Sunday Sevens is a weekly blog series created by Natalie at Threads & Bobbins. If you fancy joining in, pop over to Natalie’s blog to find out more. I have been really good this week and managed two trips up the Med Steps. On the first trip up I spotted these beautiful flowers, they are Gibraltar candytuft, the national flower of Gibraltar. The Rock is the only place where they grow. This week’s class meant practicing attaching lining to a waistband. That’s the last of my pre-skirt samples after practicing invisible zips last time. 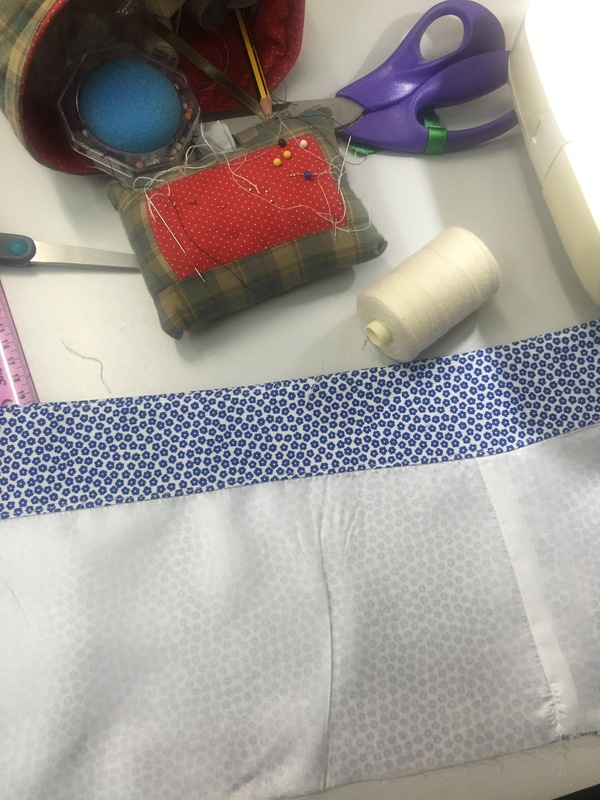 Next lesson means I can begin my latest skirt for real – can’t wait! In my home furnishings class I made a cushion, the first time I’ve ever made one using a zip. This is specially for a young man in my life with an appreciation for all things public transport related. 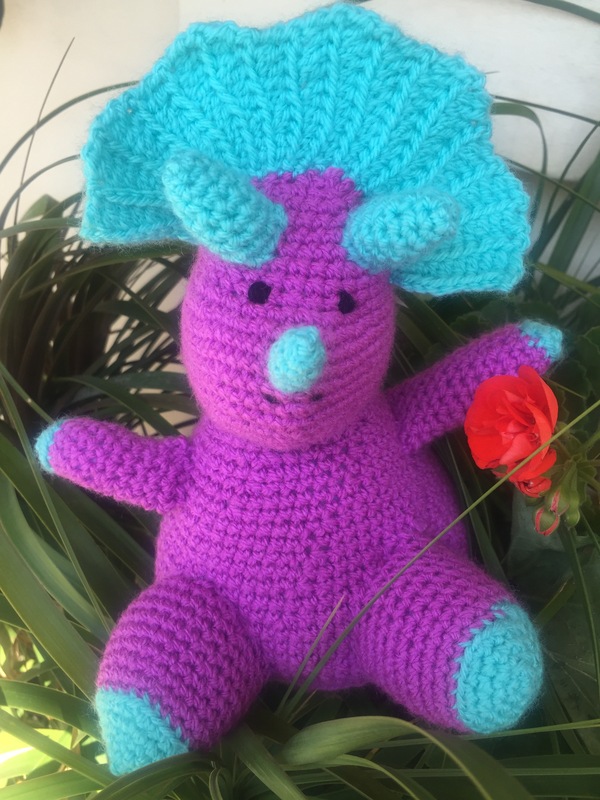 Remember the dinosaur I started crocheting on holiday last week? Well she’s finished and is now living in her new home! I used a pattern from Simply Crochet magazine. 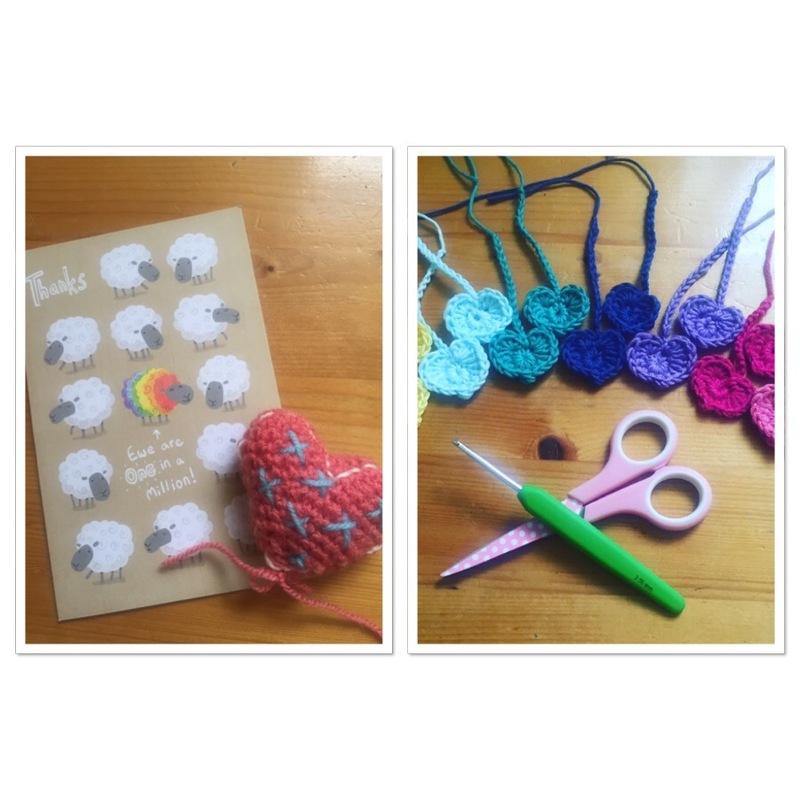 A few weeks ago I made some little crocheted hearts for an Instagram friend of mine @bonnies_little_crafts. She’s on a mission to collect 7000 woolly hearts to give to visitors to the Yarndale festival in her hometown of Skipton. This week I received my very own woolly heart as a thank you along with a really lovely letter. It made my day. If you would like to get involved in the #7000challenge take a look at her Instagram account. 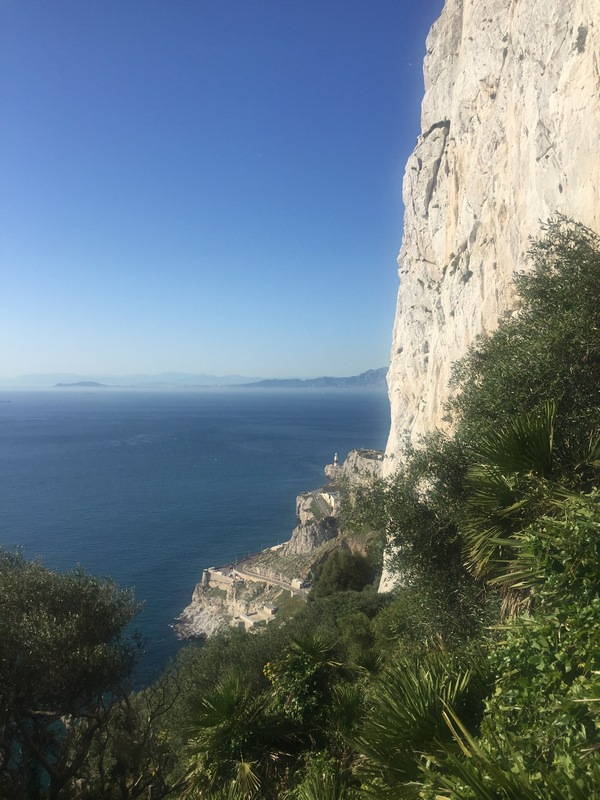 On my second trip up the Med Steps this week I stepped up my training a bit and managed two circuits. Crikey it was hard work, and it’s starting to get really hot up there. How we’ll manage 5 circuits in mid May for the #MedSteps5 challenge, I have no idea!! 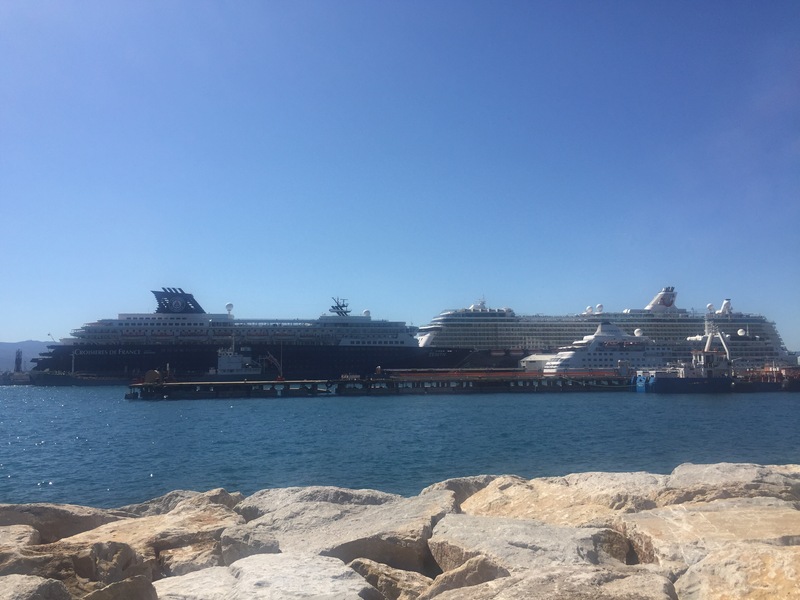 Yesterday there were three cruise ships in port. The perfect day to avoid Main Street! It gets so busy in town when the cruise liners are here. I believe that later this month four will visit on the same day – the busiest day of the year for cruise visitors. I think we’ll be lying low that day! Thank you! It’s a lovely flower – this is the first time I’ve actually seen it as it’s quite rare. Oooooh a lined skirt! Very impressed! I really can’t wait to see your actual skirt 🙂 I think you are doing great with your Med Steps training – keep going! Will there be many others doing the challenge in May with you? Love Tracey too! Thanks Natalie. We are a team of three at the moment, but I believe it’s quite a big event. I will take lots of photos and write a post on it when it happens – if I have the energy of course!! 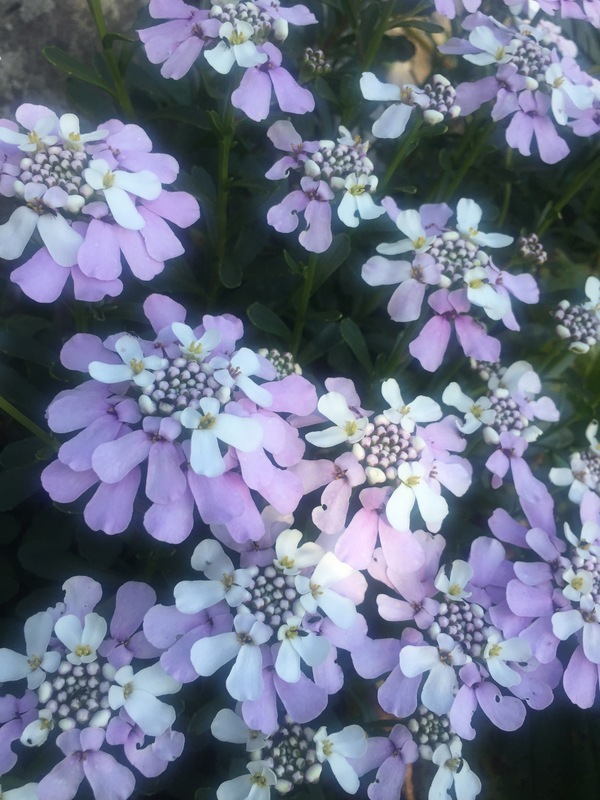 Candytuft takes me back to my primary school days – and that’s quite a long way back 😦 I remember in Spring, you could buy a little brown bag with daffodil bulbs and grow them on in a pot. Then, some time later, you would take your pots back in to school and they would be judged and certificates given. Later in the year, the same would happen but you had a choice of candytuft seeds or nasturtium seeds. Neither of my parents had any interest in gardening so I don’t think I ever won any prizes for mine. Thanks for the memories. Oh that is a lovely blue sky -how wonderful to be too hot! lol spring is only just peeping above the surface here mixed with April showers! The skirt looks fab and I love the cushion – it is funny how we can see zips and such as scary, but as soon as we know how to do them they aren’t really scary at all! Love the picture of the. Candytuft🐇 I hope the young man likes the cushion . what a lovely creative week!